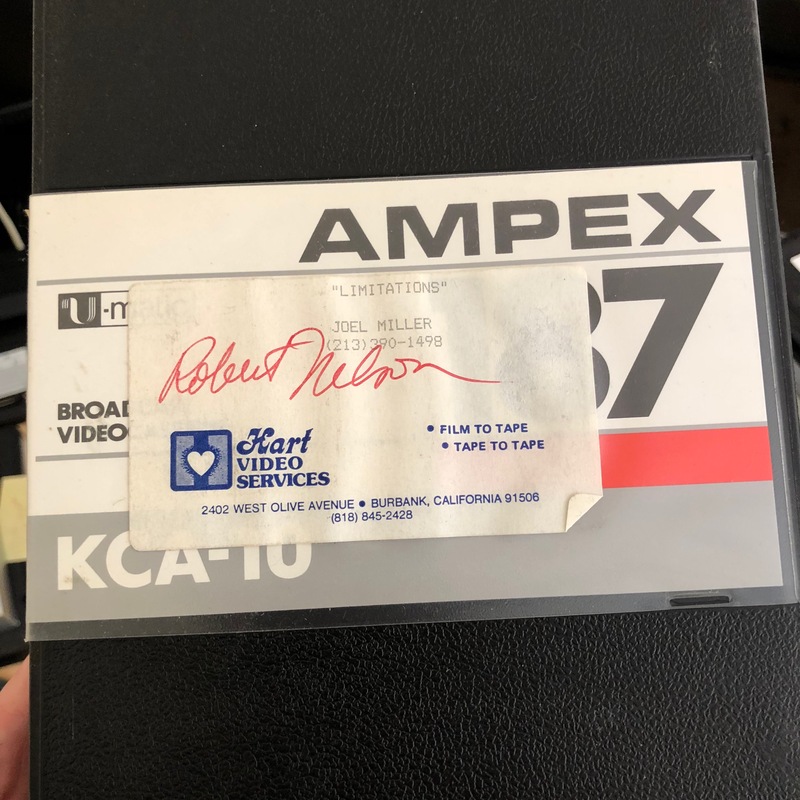 Anyone who knows me probably knows that filmmaker Robert Nelson was a really significant, formative, and meaningful influence for me as an artist, mentor, and friend. With my friend Martha Hunt (my predecessor at the Academy), Nelson’s films were the first I had any involvement in preserving, collaborating with Martha when I worked at Canyon to concoct what we imagined could be an ongoing project to restore American experimental film between Canyon and the Academy. Robert Nelson was my first choice because I had recently (in 2001) become totally enamored of his work, his films badly needed restoration, and he was the primary founder of Canyon as a distributor in 1966-67, yet his films were no longer in distribution there at that time. This latter fact meant that as an initial collaborative project, I felt there couldn’t really be claims of conflict of interest (not that I need have worried about that, really). I reached out to Bob in Fall 2001, and some anecdotes about this meeting and the ensuing 10-year collaboration and friendship is detailed already in my post following his death in 2012, “Goodbye, Bob.”, so I won’t repeat it here. It’s pretty amazing to me that he’s been gone over six years, and there are still so many traces of him all over the place in my life and work. When I got to the Academy on June 25, 2003, Nelson’s films were, meaningfully for me, the first collection I personally brought into the archive. Two of his films had already arrived and were preserved by my friend Martha (The Off-Handed Jape and Deep Westurn), but there were plenty more to go. 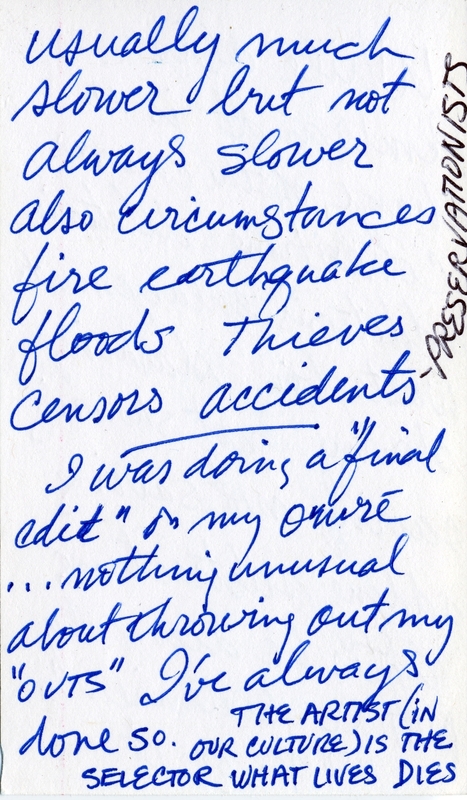 Originally, Bob had intended to just choose the films he wanted to send and ship the elements for each as we needed them, but I convinced him that it would be a lot better and more effective to just send me everything so I could go through it all. As the elements came in, I started to look at a lot more of his films – the vast majority were no longer in distribution, so they had become hard to see. Besides finally being able to see The Great Blondino (1967), some obscurities turned up in these shipments as well, including Limitations (1987-88). From the late ‘70s to the mid-’90s, Bob was an icon of the UW Milwaukee film school, teaching film during the school year and in the Summer going back to his beloved San Francisco (and Laytonville, where he and Wiley and Will Baker had a beautiful house they’d built on a remote hillside). During his Milwaukee tenure, his filmmaking slowed considerably compared to the 15 years prior. I’m fairly certain that the initial somewhat negative response to his magnificent (and ahead of its time) Suite California films (1976-78) cooled his output somewhat, and there were definitely other contributing factors. Besides the excellent and highly underrated (and underseen) Hamlet Act (1982), Nelson didn’t produce many films during the 1980s other than collaborating on some class projects. One exception was Limitations, which, though done in collaboration with his class, was more of a Nelson project in that he formulated its concept and process and it was produced in the early part of the semester before the students in the class had much to show of their own work. Though I hadn’t previously heard of Limitations, I had actually seen four short sequences from it. 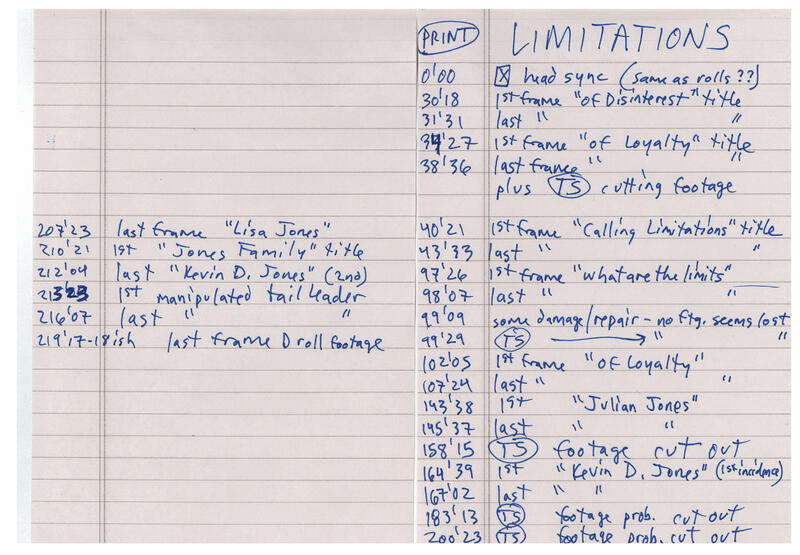 When Nelson made his monumental late period collage film, Hauling Toto Big (1997), he drew on a variety of other sources, including some material from Limitations. More on this later. In asking him about Limitations, Bob expressed some enthusiasm for the film, and positive memories of it, and suggested it might be interesting to restore. He had never made a composite print (a print with soundtrack on it) — only a silent print that would run in interlock with a separate magnetic track — and it had only ever shown a few times at UWM. The original black and white reversal picture rolls for the film are complex, and assembled in an A/B/C/D roll edit, because at times there are up to four layers of superimposition in the film. The soundtrack is also fairly layered with different noises, percussive sounds, and some sync and non-sync dialogue. 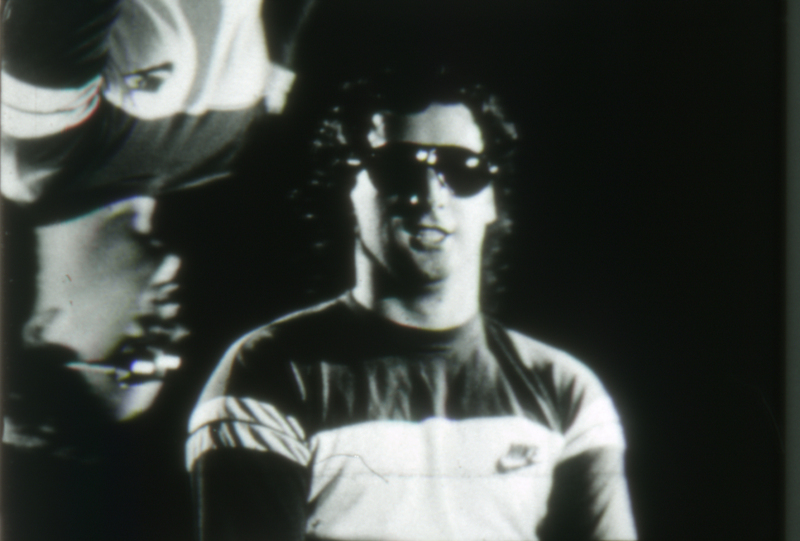 The visual ideas in the film were in some ways influenced by the phasing compositions of Steve Reich, with whom Nelson was friends and collaborators in the mid-’60s. The dominant images in the film are a series of “portraits” of film students in a swivel chair, shot simultaneously from hidden cameras positioned directly opposite each other, allowing for the potential to see both the front and back of a subject at any moment via editing or superimposition. There are occasional titles throughout, largely taken from the I Ching “Limitation” hexagram (Nelson was a lifelong student of the I Ching and it played an ongoing role in his work and life). There are also a few sequences of optical printing, using the portraiture material and other images. These A/B/C/D rolls had only been printed once, to make a silent black and white reversal print. So although they’re heavily edited, and only with tape splices, they’re still in quite good condition. When Nelson decided to borrow sections from this film to place into Hauling Toto Big, he cut them out of the print, not the originals. As a result, the originals were thankfully complete. 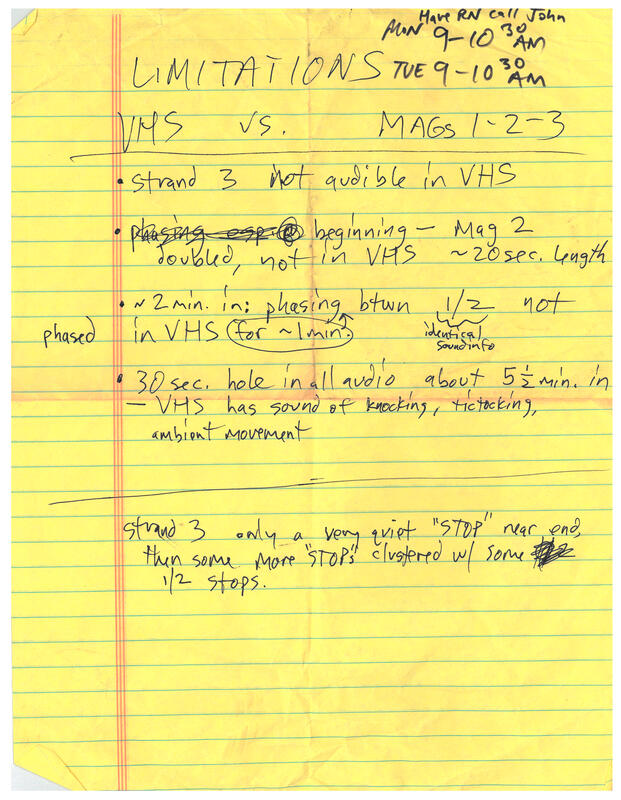 To give an idea of how long ago this was (technologically speaking), the .PICT file of this screenshot that John Polito (of Audio Mechanics) gave me at the time is now unopenable. Luckily I had the weird foresight in 2004 to make a few color printouts of it (one of which I sent Nelson to check out). So this image is actually a scan of a color printout from 2004! After the audio was restored, a new optical track negative was made by DJ Audio. In the meantime, the picture part of the project went to the primary lab I worked with on 16mm projects (and many others) at the time, Triage Motion Picture Services in Hollywood. 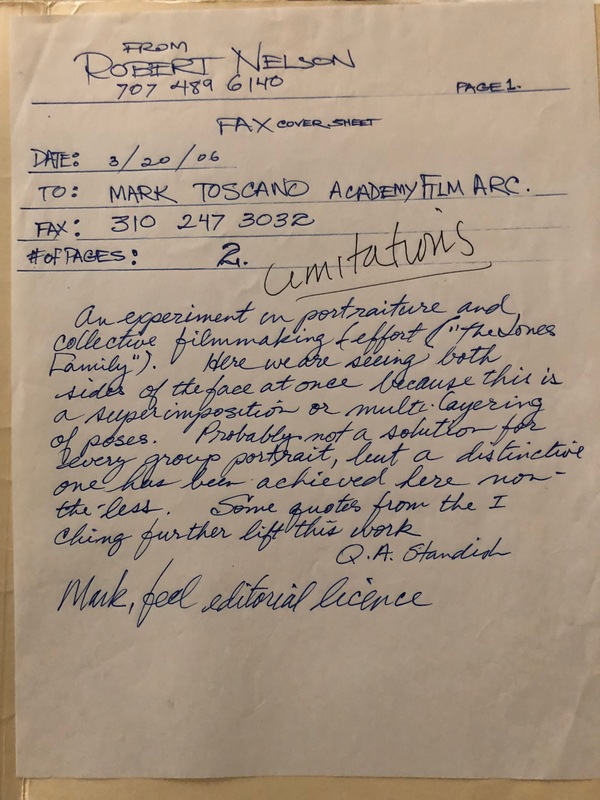 For several years, they were great collaborators on these projects, always willing to do weird, non-standard things, which in the realm of experimental film preservation can be a crucial necessity. As mentioned, the A/B/C/D rolls were complete. As black and white reversal, the first step would typically be to make a 16mm wet-gate duplicate negative of the film, and from the new negative and track, a composite answer print. This film had a couple of surprises in store, though. First of all, it turned out that the C-roll had some hand-inked masking effects on it, using India or similar ink. As a result, it couldn’t be cleaned or printed wet-gate. In discussing this with Triage, they mentioned that they could print the A/B/D rolls wet and the C-roll dry, if we made the new negative on their optical printer. Triage had a really excellent printer that could get fantastic results. 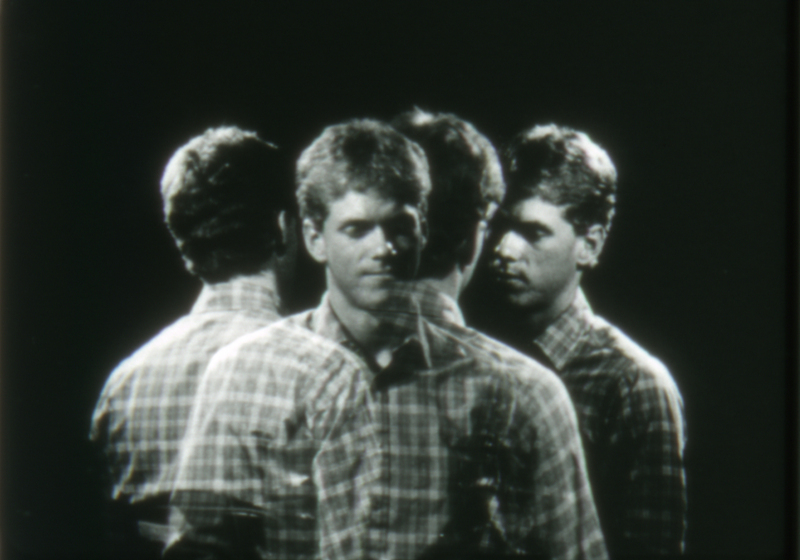 Plus their optical guy, Dave Tucker, is a genius, having studied at CalArts and made his own optically printed experimental films, as well as working extensively in optical effects in the industry. 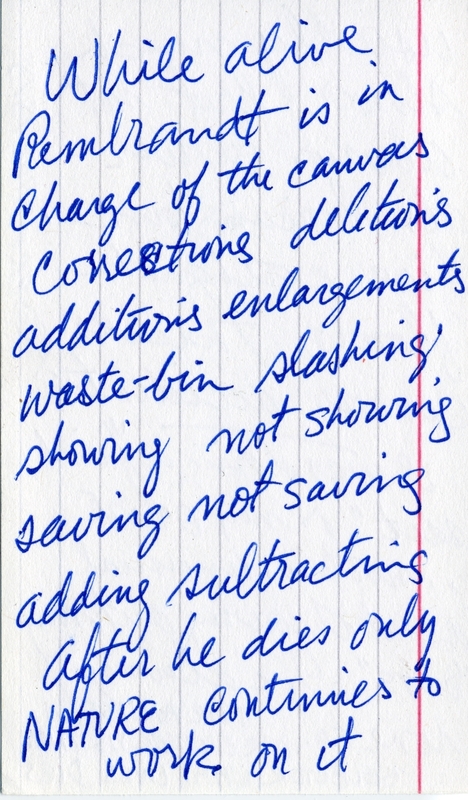 For many years, Dave has been a crucial and brilliant talent on the optical printer, and still is, at Packard Humanities Institute/UCLA’s Stanford Lab, and he saved a number of seemingly unprintable projects for me over the years. So this seemed like a great solution. The other surprise had to do with fade cueing. Nelson had remembered the film being a straight A/B/C/D print job, with no effects (e.g. fade ins/outs). Upon closer inspection, this turned out to definitely not be the case, and though the film has a lot of straight A/B/C/D superimpositions, it also has a bunch of dissolves and fades. And Nelson didn’t have the original notes indicating their placement or length, so this would all have to be figured out from scratch by looking at the elements. This was 2004, still in my first year of work as a preservationist. I was learning a massive amount on the job, by instruction and example from my colleagues, from the labs I worked with, but most of all from sheer exposure and just having to do things and figure things out as I encountered them. This is how I’ve learned the vast majority of what I know, since there weren’t then (and still really aren’t) any actual guidebooks for being a preservationist. There are certainly helpful texts out there, but the job is so multi-layered and unpredictable, and involves so many simultaneous concerns, that it resists any kind of standardized pedagogy. This first year and a half or so, I relied heavily and gratefully on folks like Dave Tucker and Paul Rutan III at Triage to figure various details out. 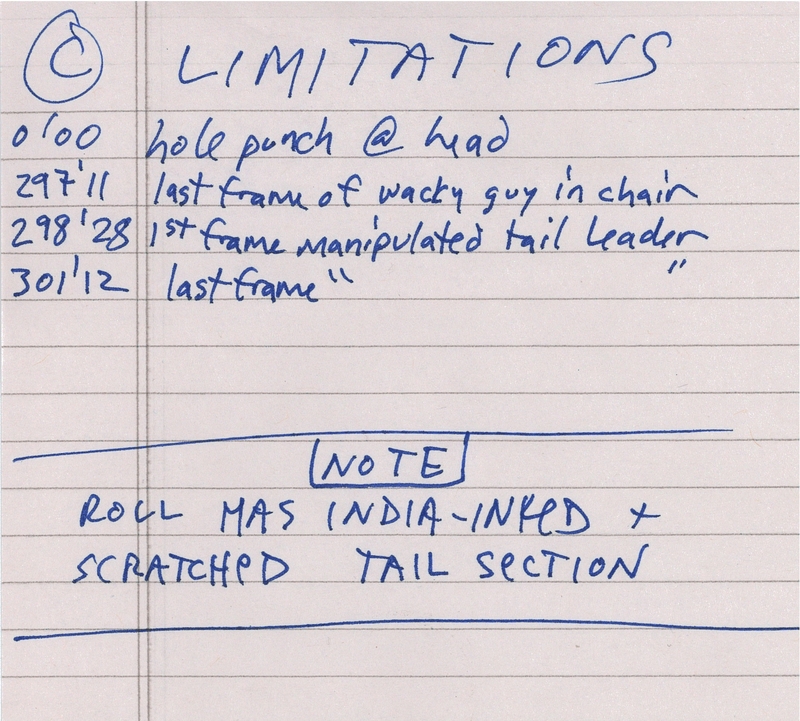 It was actually in the course of working on Limitations that I realized I needed to start learning how to figure this stuff out myself, to have a better handle on my projects, but also to be extra cautious in working out the preservation strategies for films that often did not conform to standard technical or aesthetic approaches. That newfound independence was to come soon after, but in the meantime, the amazing Dave Tucker took the A/B/C/D rolls for Limitations, the incomplete print, the video, and even the originals for Hauling Toto Big in which the missing sequences were contained, and figured out all the fades/effects from scratch. I’ve had to do this plenty of times myself since then, but it was Dave’s example on Limitations that showed me how it could be done. Once this was set, Dave optically printed the A/B/C/D rolls (printing A/B/D wet and C dry as planned) to a new black and white dupe negative, which, when printed with the new track negative, yielded a first answer print. Because sound sync was a little difficult to determine, the first print was off by several frames, but the second try got us a perfectly synched new 16mm answer print. A few more prints were made (one of which is rentable through Canyon Cinema). Since the project and the new dupe negative had cost so much time, money, and trouble to make, I decided to make a protection fine grain master positive from the new dupe neg, a somewhat atypical thing to do (making a master positive to further and semi-redundantly protect a preservation negative). I haven’t looked at the film in a while, but its images and sounds and cuts and superimpositions are still really vivid to me, and I think it’s a pretty interesting movie, actually. In the few years after working on it, I showed it a number of times, usually to a very good response. It hasn’t really “entered the canon” so to speak, but I’m still quite glad to have worked on it, and the complexity of this early project really taught me a lot about the film medium, restoration, and about the possibilities offered to me by both as a film preservationist.